Westley has been with the Shamwari rangers’ team for about 7 years. 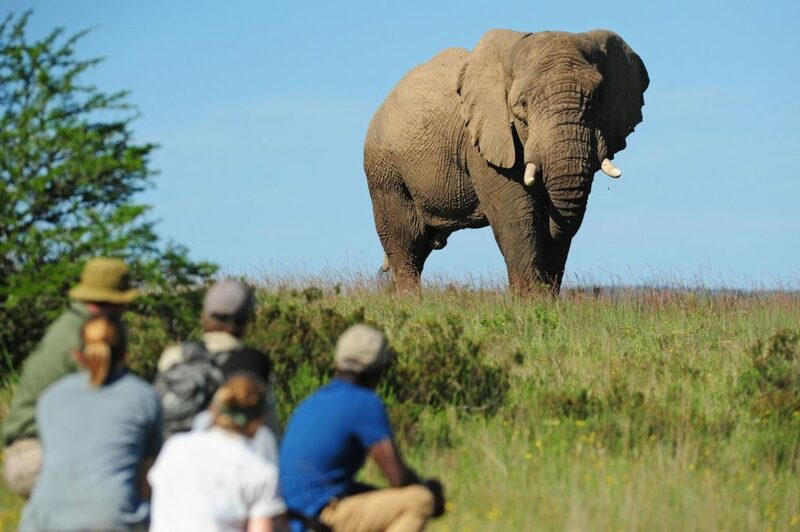 He’s a passionate about showing guests all the wonders of Shamwari, especially the smaller, often overlooked animals. These include reptiles, arachnid and insects. Photography, cricket, fishing and hiking. I am passionate about meeting people and sharing our national heritage with guests from around the world. 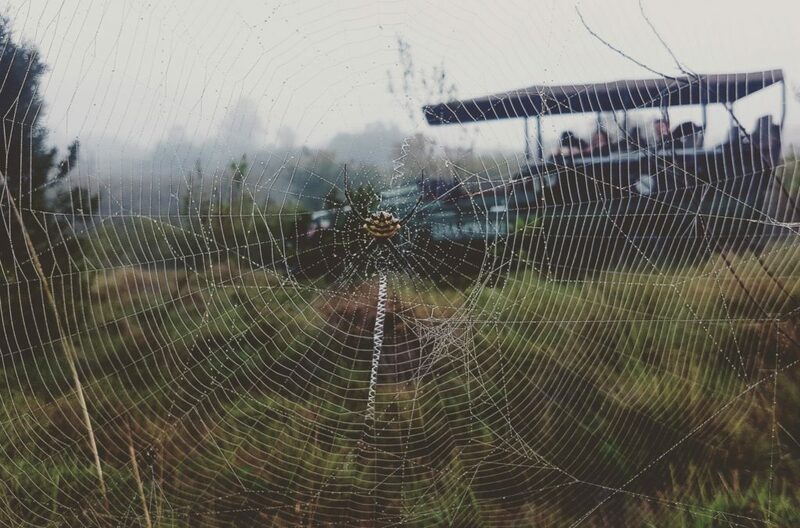 More specifically, introducing nature and the wonders of the bush that our guests don’t typically get to see. I really enjoy doing bush walks. When I guide out of our Explorer Camp, I’m in my element as it’s a walking trails adventure, showing guests nature on foot is a completely unique experience. It’s a humbling experience that makes you feel in awe when you’re in their presence. It’s the only animal that I’ve seen bring guests to tears, in a good way, because of the sheer magnificence of the animal. At Shamwari, we have brown hyena that have den sights. It’s one of my favourite animals in a sighting because when the whole family is together, the interaction between the cubs and the adults is fascinating. It’s also amazing to see the accumulation of bones and skulls that have been collected over the years as they are scavengers. They don’t necessarily kill animals, they scavenge off carcasses. They have endless stamina and strength. The cubs are often very curious at the den site whereas when they’re older they’re more elusive and wary. About two years ago I was guiding out of Long Lee Manor. My guests and I had had several giraffe sightings as well as many other wonderful sightings, so we decided to stop for sundowners. Giraffe groups that were seen that afternoon in the area all came together in a massive journey right in front of us. It was one of the most incredible sightings in my guiding career, seeing a super group of giraffe at sunset near Springbok Flats. We lost count near a hundred! It’s a rare occurrence to see such a large aggregation of giraffe in an area. We were very fortunate considering that giraffe are also on the IUCN list, they are considered endangered. We had an unforgettable time with Westley last year – it really was life changing. Our bush walk with him on the last day was a highlight. Can’t wait to come back! Thank you for your lovely comment, Felicity. 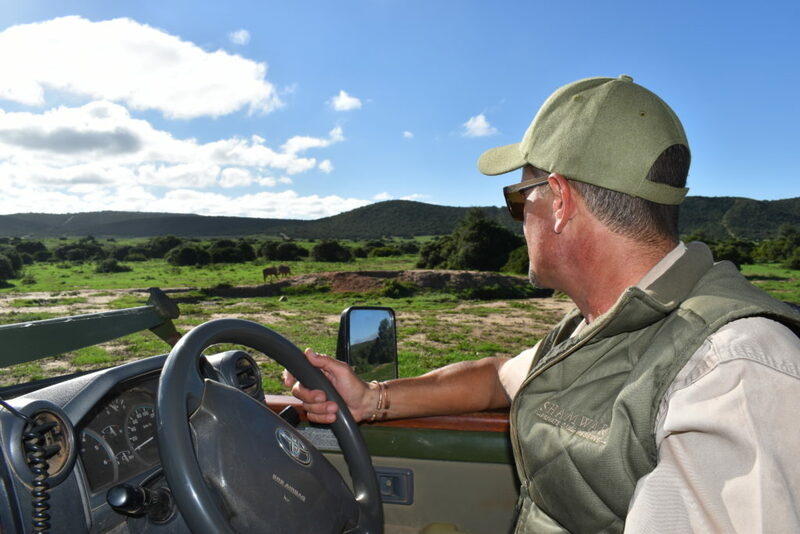 We are delighted to hear that you had a wonderful stay with Westley as your ranger. Just over two years ago we visited Shamwari and we were lucky enough to have Westley as our Ranger. He was excellent and so interesting, knowledgeable but also good fun.,he quite simply made it the most enjoyable and memorable four days. Thank you Westley. Thank you for your lovely comment, Liz. 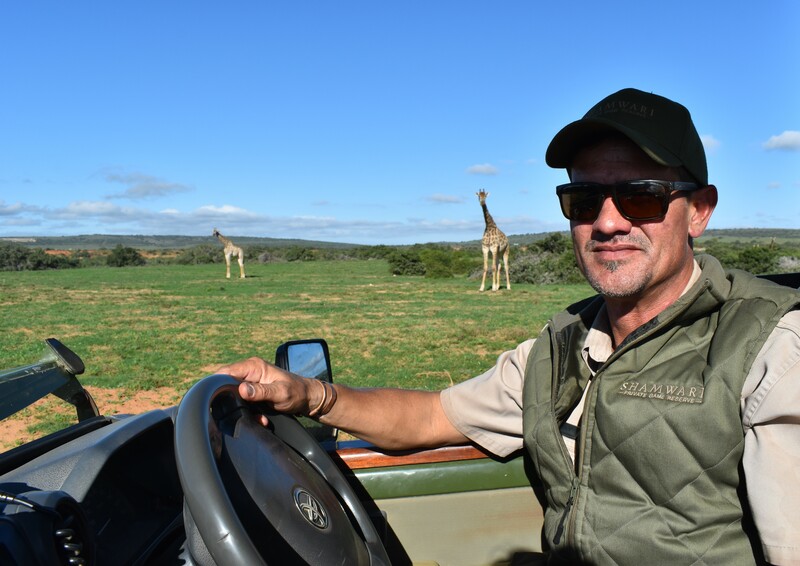 We are thrilled to hear that you had a wonderful stay at Shamwari with Westley as your ranger. Westley was just wonderful! Not only knowledgeable and funny but passionate about what he does. We were so luck to have him as our guide and had a special experience on foot out of Explorer with the Rhinos. This was an experience of a lifetime. I hope we meet again some day. Thank you, Katy. It is delightful to hear of your fond memories of your stay at Shamwari. Westley is a great ranger and asset to our team.